February 23/12 10:14 am - Rob Britton Joins Team H&R BLOCK for the 2012 season! On behalf of the Board of Directors, Todd McCallum, Gary Clarke, Paul Blanchette and Carl Jacobson, Team H&R BLOCK is excited to announce that Rob Britton has joined the program for the 2012 racing season. Rob is one of the most talented up and coming riders in Canada. Last year Rob was the 2nd best North American rider at the Tour of California placing 23rd overall, 4th at Canadian National Road Championships and has had several other notable results such as, 10th at the SRAM Tour of Gila, 1st Merco Cycling Classic and 2nd Sea Otter Road Race, to mention a few. Rob will be a strong addition to the team’s roster at such events as Tour de Beauce, Canadian Road Championships, BC Superweek and Cascade Cycling Classic. Team Director, Mark Ernsting states: “The team is growing in the right direction; each season the team continues to increase the quality of riders. We believe that is a direct reflection of the opportunity we offer the riders”. With the mentorship of Andrew Pinfold and the experience of Rob along with the performance of the rest of the team, this should result in the strongest season to date for the program. The team’s performance growth is a reflection of its philosophy that allows riders to attain their goals. If a rider is selected to National Team projects, has an opportunity as a guest rider on a Pro Team, or is required to fulfill academic requirements in order to further their education; the team will work hard to balance these commitments so that the rider can further their development in all aspects in order to achieve all of their aspirations. 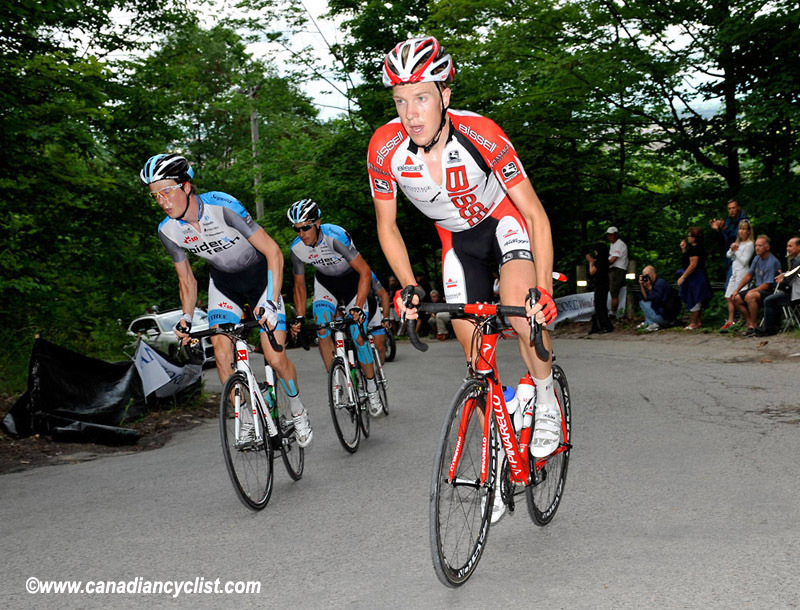 Rob Britton will join the 2012 Team H&R BLOCK Roster of; Aaron Schooler, Adam Thuss, Andrew Pinfold, Craig Jones, Garrett McLeod, Jordan Cheyne, Justin Kerr, Kris Dahl, Laurent Dallaire and Mike Sidic.